Before she became an Associate Professor at Mira Costa College and San Diego City College in English and Creative Writing, before she garnered a fellowship with Sandra Cisnero’s Macondo Writers Workshop and before she wrote this brilliant book that demands a reading…little Karla would jump into the bin of frijoles in her Mom’s mercadito she grew up in. She told us this is where she would run through the isles and where she later worked with her three sisters. A place she told us, gave her the work ethic she still carries. In How To Pull The Earth Apart, published by Not A Cult Published, Karla speaks to the things we inherit as children of migrants or migrants ourselves. When I read the poem “The Time My Momma Gave Me The Chancla for Letting Andrew Jackson Escape Out The Window,” I’m reminded of the ways my Mom also taught me how to survive sometimes through the legendary chancla. Yet- Karla doesn’t demonize nor idolize the families around us in the book, she merely presents them with love in their complexities. A lot of her poems that I revist constantly remind me that holding my family in my own journey is both hard but a necessity. We all laugh when I ask her what brought her to writing, all of us knowing how complex the answer really is. She told us she was always the colorful gel pen notebook kid in school, journaling constantly. In the book, Karla takes us back to that kid and then back to the present and then imagines futures like the likes of Poet Tracy K. Smith who she references as inspiration. At time when there is a noted rise in the love for poetry, Karla stands out as a voice who knew this would happen, her journey to writing and then education exemplifies this. 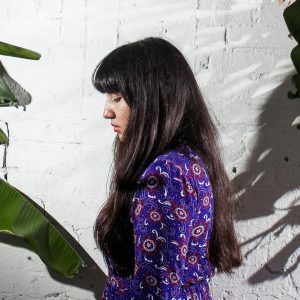 We see throughout her work how the people and the love around her brought her to the writing, why and how it was inevitable of her to reclaim language too, especially in Mexican households where young Chicanas are silenced at a young age. It would be meeting professor Sandra Doller at CSU San Marcos in a class called “Literature In The Community” where she got to see the impact poetry had on the people she could identify with. How sharing poems out loud gave her and others courage. 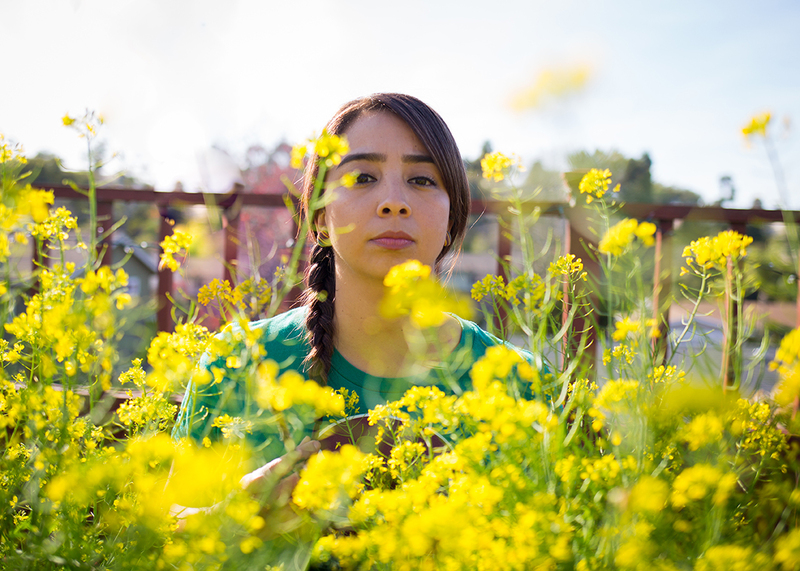 Karla would go on to be the 2013 Grand Slam Champion, ranking 4th in the National Poetry Slam Competition, showcasing her work on NBC 7 San Diego Art Pulse, TBN Juice Live, the Old Globe Theatre and completing an MFA at San Diego State University where she won the Diversity Award. In the book Karla speaks to the imagination and to the land with its relationship to the people. She navigates time and space in a skillful honor to Gloria Anzaldúa and Natalie Diaz who she also references- letting us know she stands on ancestral shoulders reaching for the sky with feet grounded, at times taking our heads in the soil with her. Like her inspirations, she engages the place the reader is at and encourages inquiry, believing in us as peers in her journey. Her eyes are set on the land in the poem below, asking questions, demanding us to see how connected we are to it, asking us to search within us, finding galaxies amidst it all. into the dead. it wasn’t easy. & sprout into the tallness of a cloud. 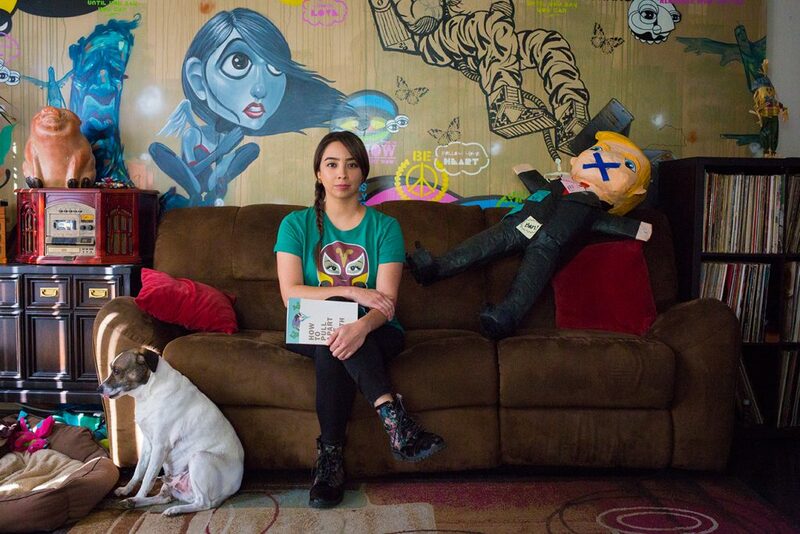 Arlene Mejorado provided the two portraits of Karla Cordero for this profile. Author’s Note: I have lower-cased certain words, mostly historically oppressive proper nouns, as a political acknowledgement of power in language. This reverses what is superior and inferior, disrupting those historic dynamics. is a photographer and writer based in Los Angeles, CA. Mejorado is a passionate observer and documents to resist the erasure of marginalized peoples. As the daughter of migrants, her passion lies in building new visual narratives around migration, diaspora, gender, and culture with an emphasis on collaboration and experimentation. 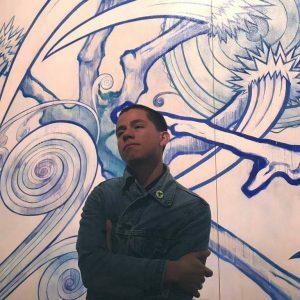 Mejorado has worked on assignment for The California Sunday Magazine, Buzzfeed, Amplifier Art, and Remezcla.